Hello my dear readers, I'm back! I'm sorry it's been such a long time since my last post! I have been so busy that something had to give temporarily and I'm afraid that something was writing. 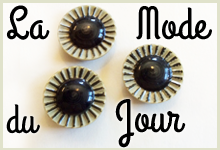 However, I have been doing some projects in the meantime and have finally got the time to share with you. My only New Year's resolution this year was to work a little bit less and to sew a little bit more and so far, it's rather nice! My most recent project was McCall 5044. 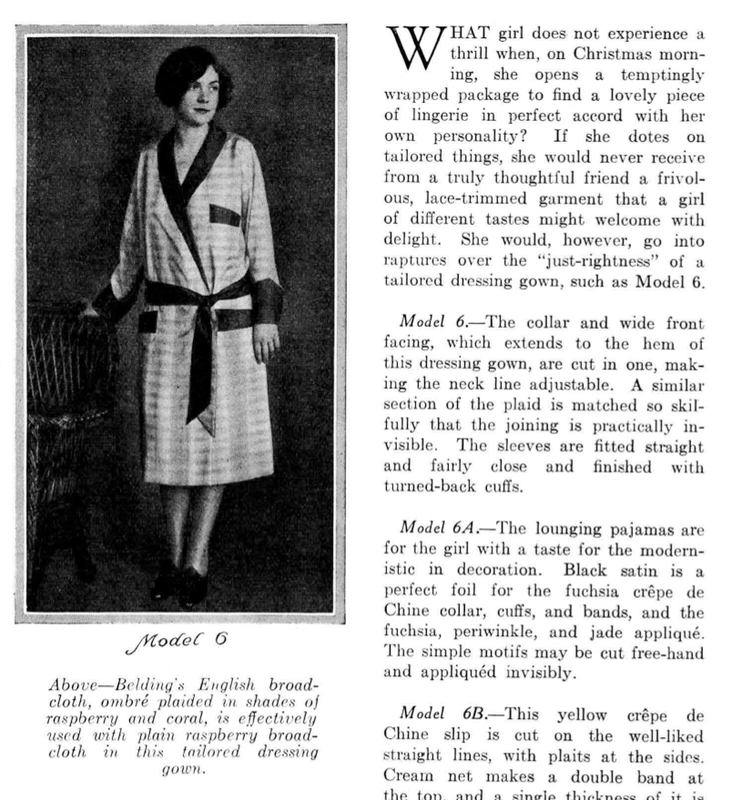 I found this pattern a while back on Ebay and imagine my delight when I searched my magazine collection and found it featured in a December, 1927 edition of Fashion Service Magazine! 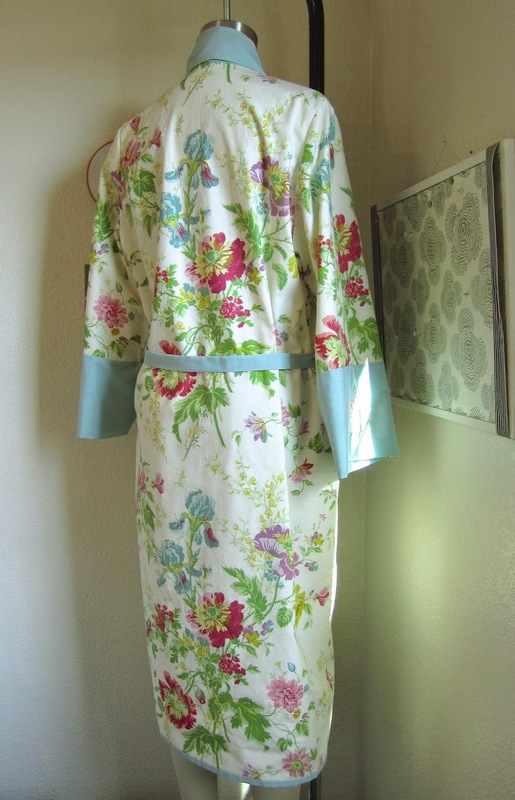 I fully intended to sew this lovely negligee in silk but I wanted to make a wearable muslin first, and I decided to use some really beautiful cottons from my stash. 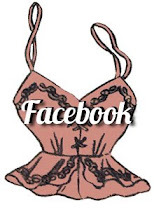 The main body fabric is from the Olivia Collection by Anna Griffin. 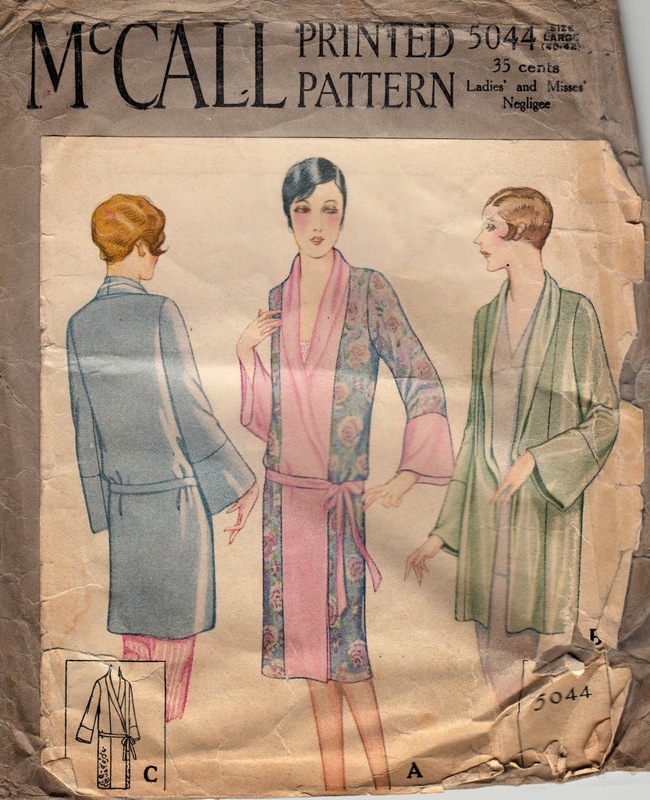 The instructions were a bit vague (quite common for 1920's McCall's) so I had some room to customize the pattern. I made version A and lined the interior with a soft cotton so all seams are neatly concealed. I also lengthened the sleeve bands a bit to allow for my rather long arms. Instead of sewing fabric carriers I followed this incredibly nifty Youtube tutorial and made thread carriers for the sash. It was so much fun to try something new, and to avoid stitching those darn cloth carriers made my day! 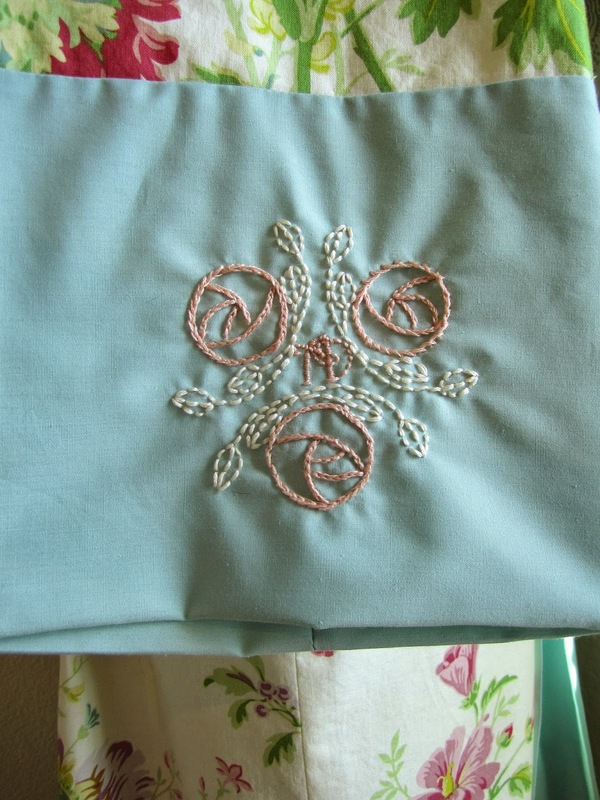 I also searched high and low and found a lovely art deco rose motif online, adapted it a bit, and embroidered it with my initials on the sleeve. I know, I went a bit overboard for a wearable muslin but every step of sewing up this negligee was more fun than the last and I just couldn't help myself. 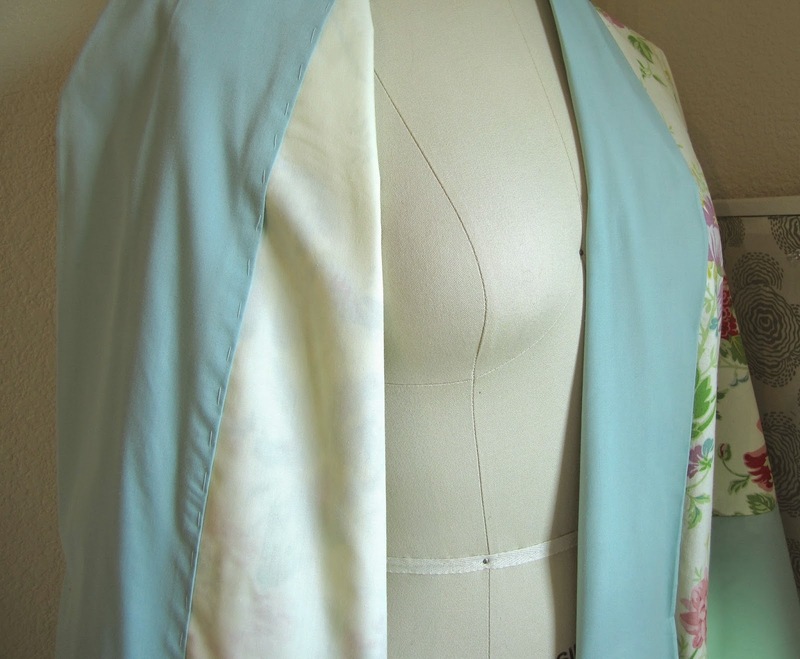 It went together so easily and I can't wait to make another one in some sumptuous silk. 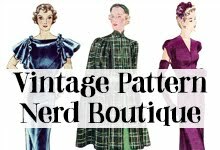 I will also be making a multi-sized reproduction of the pattern soon as my next development project for Mrs. Depew Vintage so stay tuned for more! How about you? 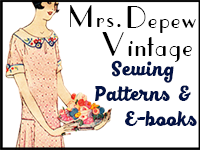 Did you do any recent sewing or make any sewing related New Year's resolutions? wow... the embroidery is such a beautiful detail! I'd love to have one in my own closet too, so I'm pretty excited for your plans to reproduce it. Yay! That embroidery is gorgeous!! And well, I sewed up an outfit for a costume at the beginning of the year, and I'm working on a pair of shorts! Oh no, I'm so sorry for your friend! That is a good idea, making her something beautiful that she can enjoy in heir leisure hours. What a lovely garment - I'm sure you'll look awesome in it^^ Thanks for the link to the youtube-video - can't wait to try it myself. And I love your embroidery on the sleeve. So, will you be doing another one in silk for you later on? I love this! 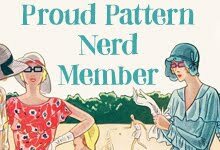 The embroidery is such a nice touch, and I think you'll enjoy having a more utilitarian version (even if you do make yourself a silk one as well). Ooooh is that ever elegant! Right down the embroidery, what lovely little details. Beautiful! Ann, your comment gave me the warmest fuzzies, thank you! It's just beautiful! Aren't thread carriers just perfect! 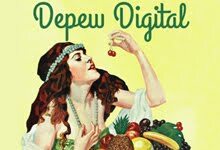 My grandmother and great grandmother taught me that technique when I was a child and I have used them ever since. 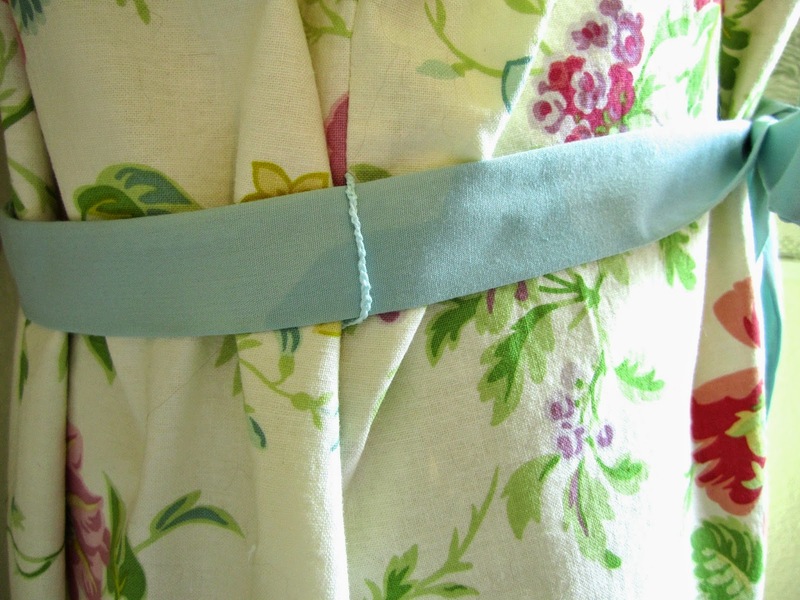 Sometimes its the small detail like thread carriers and embroidery that really finishes a piece off perfectly! 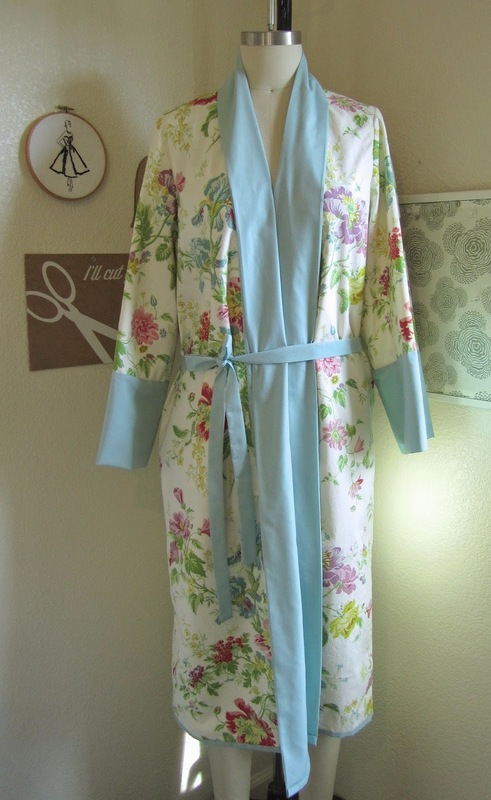 Anna, this is a really beautiful robe and I like the spring time colors you used. The hand sewn embroidery detail you did is gorgeous! Thank you for posting this! Before I read your post I totally thought that was silk! You can't even see it except for the close-ups. 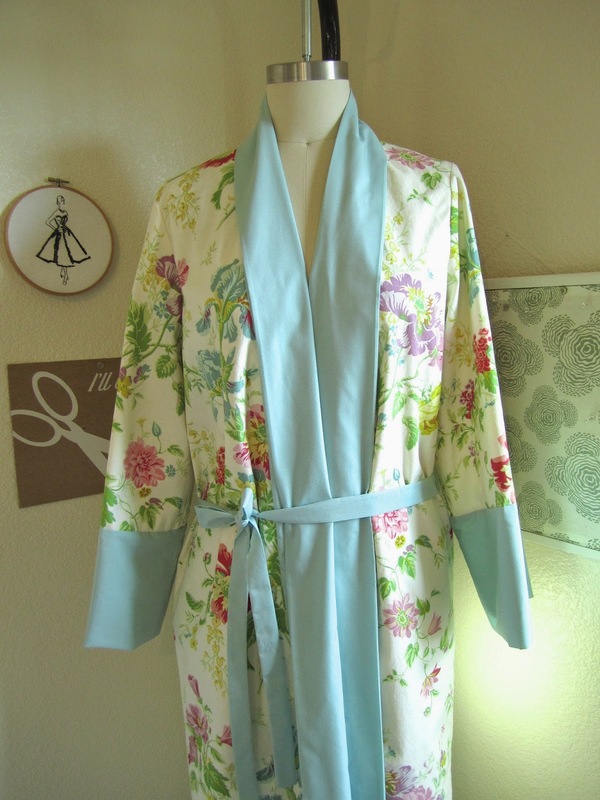 I love the soft blue contrast against the floral pattern, great fabric choice! It's positively dreamy! 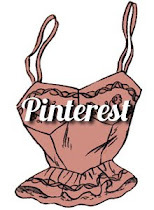 I love the fabrics you chose, and the rose motif with your initials is especially fantastic. 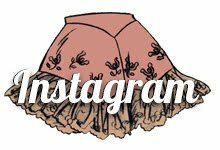 Subscribe via email - Get posts from this blog in your inbox, an easy way to follow!